Although on the surface Japan may seem an impenetrable puzzle of conflicts and contradictions, this is really because so much is new to the uninitiated and underneath things are often quite straightforward once the reasoning becomes clear. 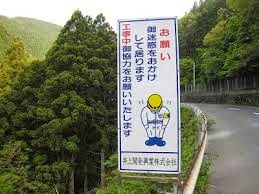 The language structure is much simpler than English, the road signs are in Japanese but often with English sub-text and -san is used for Mr, Mrs, Miss and Ms solving the perennial problem of how to address a letter. However, there are somethings that still catch you out even after a good while on the ground. For example how does the person walking in front of you know the exact moment to step sideways as you try to walk past them or why do taxis always choose the narrowest part of the road to stop and block everyone else. Traffic lights are referred to as blue when they are demonstrably green and karaoke is incredibly addictive, though it really shouldn't be. In Tokyo people stand on the left on an escalator though this would bring cries of derision in Osaka, and speaking of which the power in Osaka and the power in Tokyo are mutually exclusive. Japan has a habit of shortening words, air-conditioning is air-con, Navigation System becomes Navi System but if you refer to flu people will look at you blankly as this is still influenza. But probably the most surprising of all are the road maintenance crews one of whom paid me a visit yesterday. With a map, he explained what was going to be happening over the next few weeks outside our house. Apologising for the inconvenience he explained I could park my car somewhere else and if I kept the receipts they would re-imburse me when it was over. And then he bowed and went next door to apologise to the neighbours and so on. In London that would have been an unmanned hole in the ground seemingly abandoned for weeks until someone fell in.